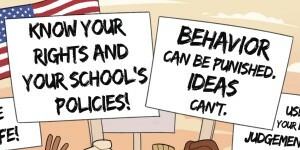 Speak Out at MARCH: The Power of Student Voices on April 11! 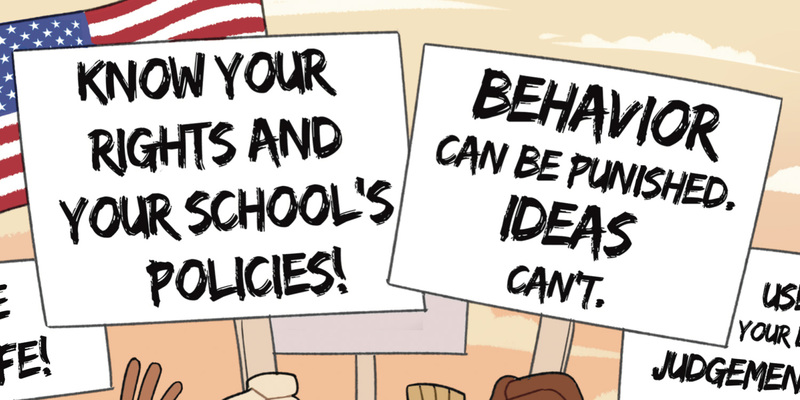 On April 11, CBLDF welcomes educators, students, and activists to MARCH: The Power of Student Voices, a panel discussion at the Society of Illustrators in Manhattan! Please join us for this engaging panel and discussion in concert with the MARCH: A Civil Rights Masterpiece exhibition. The First Amendment rights of students and the history of youth activism are at the forefront of current events in America today. MARCH, Congressman John Lewis’s masterful memoir brought to life by Nate Powell and Andrew Aydin, is a both a reference and an inspiration for all generations interested in civic responsibility and social change. CBLDF invites you to join Executive Director Charles Brownstein as he leads a discussion about MARCH, the First Amendment, and student activism at the Society of Illustrators Museum in New York City. Panelists include Kai Texel, cartoonist of Be Heard! Protecting Your Protest Rights, Jonathan W. Gray, Associate Professor of English at John Jay College of Criminal Justice and the author of Civil Rights in the White Literary Imagination: Innocence by Association and Abena Hutchful, the coordinator of National Coalition Against Censorship’s Youth Free Expression Project and Kids’ Right to Read Project. 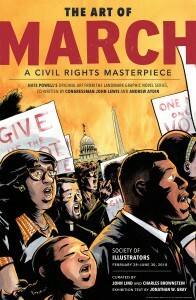 The dialogue will take place at the exhibit for March: A Civil Rights Masterpiece which showcases amazing artifacts, new exhibition essays by Jonathon W. Gray, and Nate Powell’s original illustrations. Purchase your tickets in advance or at the door. All are welcome, but there are special discounts available for students, educators, and seniors. Help support CBLDF’s important First Amendment work in 2018 by visiting the Rewards Zone, making a donation, or becoming a member of CBLDF!